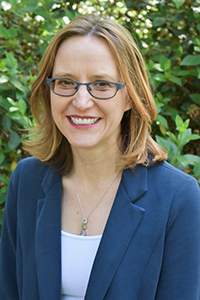 Stephanie Staras, M.S.P.H., Ph.D., is an associate professor in the Department of Health Outcomes and Biomedical Informatics within the College of Medicine and a faculty member of the Institute for Child Health Policy at the University of Florida. Dr. Staras’ research program focuses on using implementation science to prevent disease and reduce health disparities. She has served as principal investigator on seven implementation research grants (including two NIH grants) for a total of nearly $750,000. Dr. Staras is a graduate of the highly recognized Mentored Training in Dissemination and Implementation Research in Cancer program sponsored by the National Cancer Institute. Dr. Staras’ excellence in research also was recognized by her inclusion in the University of Florida’s 2018-2019 University Term Professorship cohort. A main focus of Dr. Staras’ work is reducing human papillomavirus (HPV)-related cancer cases and associated disparities. She has a nine-year continually funded research program of increasing HPV vaccination among Florida adolescent girls and boys. Dr. Staras’ work highlights the strong association between HPV vaccine initiation and parents’ beliefs about the HPV vaccine’s ability to prevent cancer safely. Additionally, she led one of a handful of studies to assess a direct link between provider recommendations and parent beliefs. By simultaneously targeting parents with reminders and providers with an in-clinic, parent-tailored decision aid, Dr. Staras’ real-world, multi-level implementation trial demonstrated a synergistic increase on HPV vaccine initiation among girls. To target interventions at geographic areas of the greatest need, Dr. Staras is characterizing HPV-related disease burden in the University of Florida Cancer Catchment Area by triangulating data with an environmental scan that includes vaccination records, stakeholder interviews, and a provider discrete choice experiment. Dr. Staras also contributes her implementation science expertise to research grants on meningococcal B vaccination, smoking cessation, and health screenings for dental patients. Dr. Staras’ research has also increased the understanding of alcohol use and sexually transmitted infections (STI). A major contribution of her STI prevention research is a demonstration of the enhanced prediction of STIs and sexual risk-taking by combining several partner characteristics compared to considering each characteristic alone. Furthermore, her work confirmed the importance of state-level alcohol tax prices on STI rates. Staras SAS, Livingston MD, Komro KA. Increased Partner Risk Characteristic Among Adolescents Using Alcohol in the Moment. Journal of Sexually Transmitted Diseases. 2016 Sep;43(9):537-41. doi: 10.1097/OLQ.0000000000000481.